After seven years I thought it was time to revamp my website. Don’t get me wrong I loved my old website, which was created by Dale Baxter from Baxter Media. Dale also hosts all my websites and has helped me with this new one, though I am proud to say that I have done the majority of it such as choosing plugins, theme and putting it all together myself – and I am no techie. It was quite a challenge. I wanted a dynamic WordPress website with a blog attached that I can easily manage and change. My old website was not very user friendly. Plus I have added extra services to my portfolio: German tuition for adults and pupils. Initially I thought of creating a brand new website just for this side of the business. 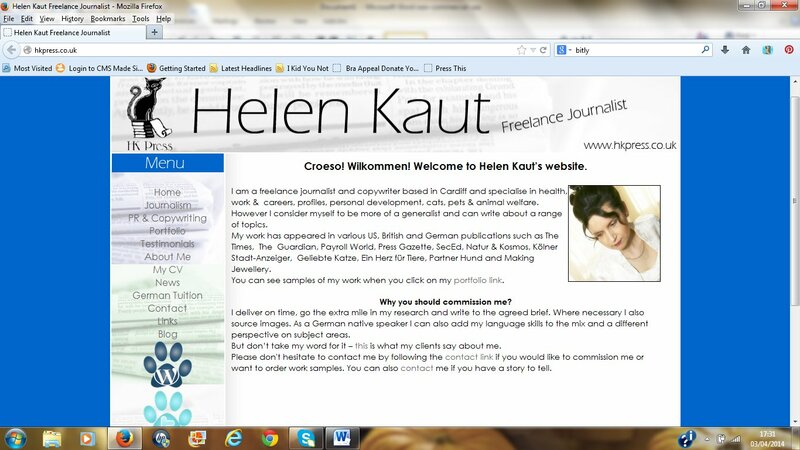 However I decided against it as I already have to manage two websites – this one and my jewellery website Helenka White Design – plus two blogs. 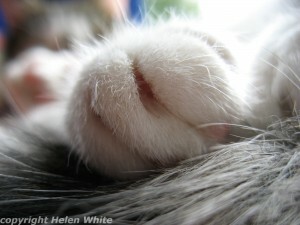 My blog “Helen’s Paws for Thought” used to be attached to the old HK Press website. The blog was really designed for my jewellery business, which is not supported by WordPress but by CMS made simple (though it’s really not that simple! ), so Dale moved it to the jewellery website. This means, now I have a new blog to fill – this one. Confused? I hope not – if you have followed my old blog and enjoyed it – you can find it here. It took me a while to find a theme for the new website that I liked and which fulfilled the criteria of being customisable and mobile friendly. I found this theme Clean Retina by Theme Horse really does a nice job – I love the elegant and simple layout. You might also have noticed that I have kept my cat logo. I had to – because I love it. Now I have to think about what I want to focus my blog on. I haven’t made my mind up yet. It’s going to be a bit of a mix – so stuff about Germany, language learning, cultural differences and reviews. I have to see where the mood takes me. I will still write about cats, animal welfare and jewellery – just not here but on “Helen’s Paws for Thought”. Oh and before I sign off I want to thank my dad Selwyn Jackson for the beautiful Cologne images you can find on the German language pages.